With deep, dependable penetration and rapid double-diameter expansion make the XPB bullets ideal for hunting. Offering maximum weight retention and excellent accuracy, the XPB bullet provides maximum tissue and bone destruction, pass-through penetration and devastating energy transfer. Bullets open instantly on contact—no other bullet expands as quickly. Nose peels back into 4 sharp-edged copper petals destroying tissue, bone and vital organs for a quick, humane kill. Order some .41 Rem. Mag ammo today! 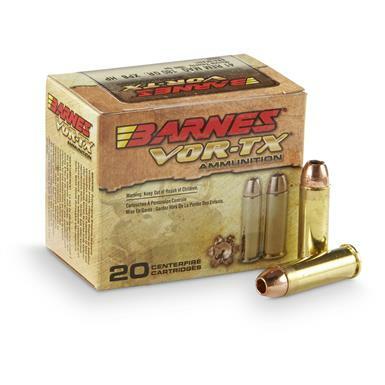 Barnes VOR-TX, .41 Remington Magnum, XPB,180 Grain, 20 Rounds is rated 4.8 out of 5 by 16. Rated 5 out of 5 by VenturesGuns from AWESOME!!! I love Sportsman's Guide!!! Awesome pricing with a Awesome shopping experience! 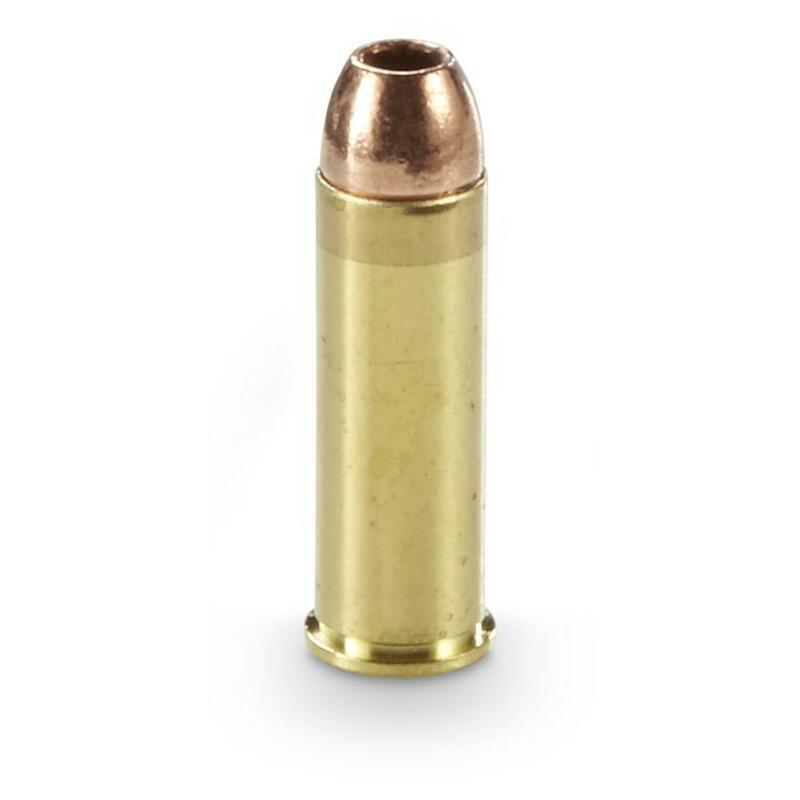 Rated 4 out of 5 by Wagonmaster from Major Punch for Mid-Range Recoil As a cartridge, .41 Mag is gaining popularity, as are all-copper bullets that perform as well or better than jacketed HPs of similar weight. These come together nicely in Barnes' own factory VOR-TX ammo, especially in 180 gr. This .41 Mag load is powerful enough for most hunting tasks yet controllable enough for multi-tap personal defense. Recoil is stout but more than acceptable in a full-size, all-steel revolver, outperforming older brands with heavier projectiles in both PF and TKO. A superior, fast and hard-hitting choice for any serious .41M aficionado. Rated 5 out of 5 by BenA from Great performance! These work flawlessly in my .41 mag handguns, and the accuracy is great. Nice terminal performance too. This has become my favorite load for the .41 mag. Rated 5 out of 5 by Dean from Good price! Good price for a quality product! Rated 5 out of 5 by Jerry from The time when I placed the order until I received the shipment was very surprising. Have not shot any of the rounds . Rated 5 out of 5 by FRED J from Haven't shot it yet. If there is a problem will write back. Superb hunting rounds with programmed expansion memory!